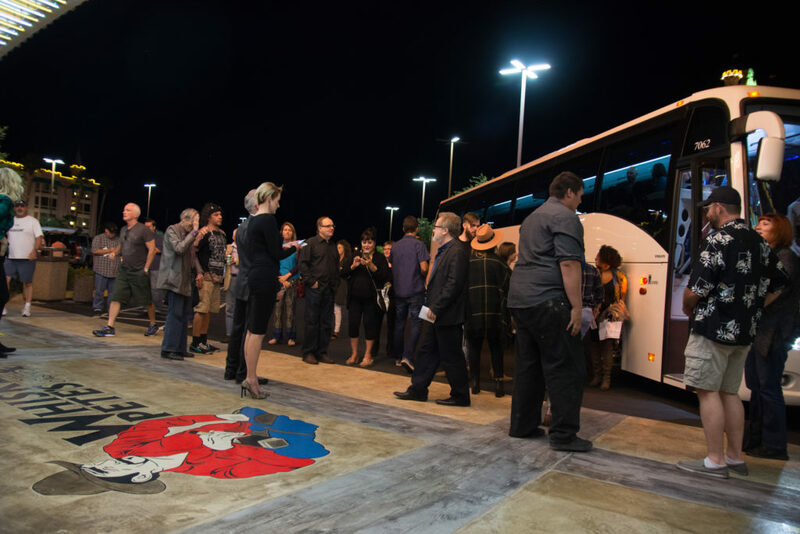 After weeks of construction, meticulous planning and anticipation, one7 communications along with media and influencers drove 45 minutes to Primm, Nevada to sneak a peek at the newly renovated Whiskey Pete’s Hotel and Casino and party like it’s 1977. 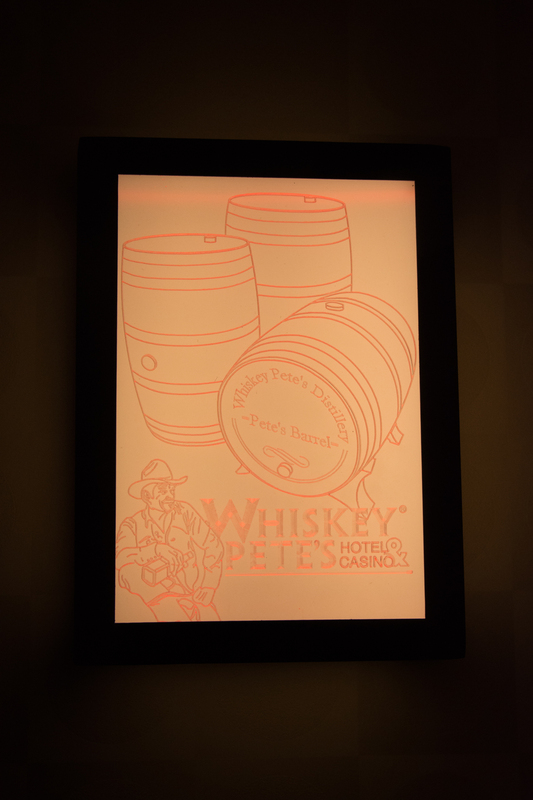 After undergoing a $3.5 million update which spanned the walkway, entryway, and rooms, Whiskey Pete’s was looking good but there were seven things that stood out to us about the #NewWhiskeyPetes. Guest stepped onto a newly poured concrete welcome mat stamped with the updated image of hotel’s namesake, Primm’s very own “Whiskey” Pete MacIntyre. Standing under the original Whiskey Pete’s neon sign, General Manager Stuart Richey welcomed guests with a glass of champagne and cowboy hats. 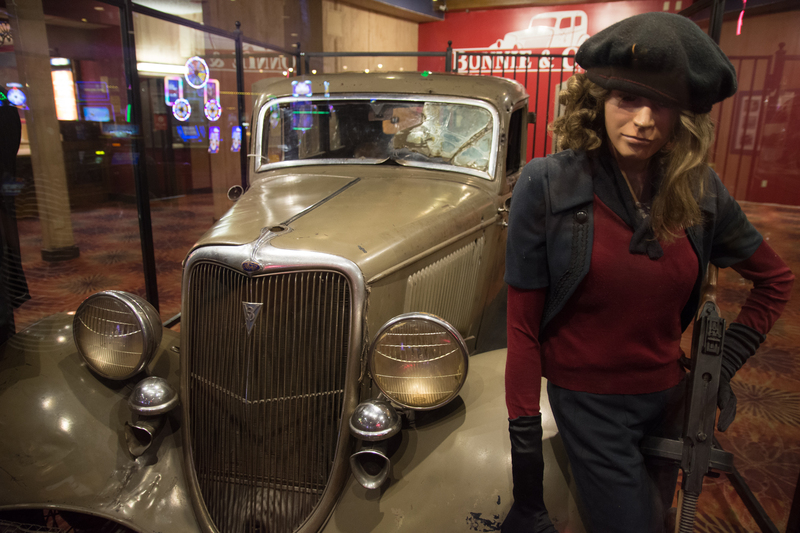 Venture into the shuttle port and you’ll see a statue of the bootlegger among barrels of his moonshine and a plaque that tells his story. 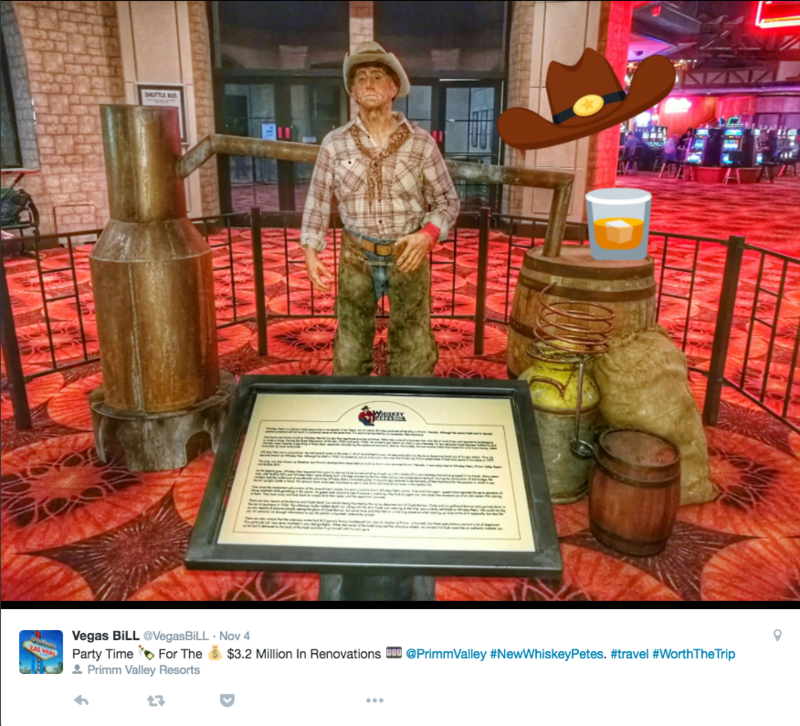 It’s rumored that Whiskey Pete owned a gas station in Primm Valley during the Great Depression and having a hard time making ends meet, decided to bootleg, making moonshine in the nearby mountains. The first renovation since the hotel was originally built 1977, the rooms were completely gutted and refurbished with new details. Snakeskin headboards with contrasting stark white linen sheets were a major statement piece. 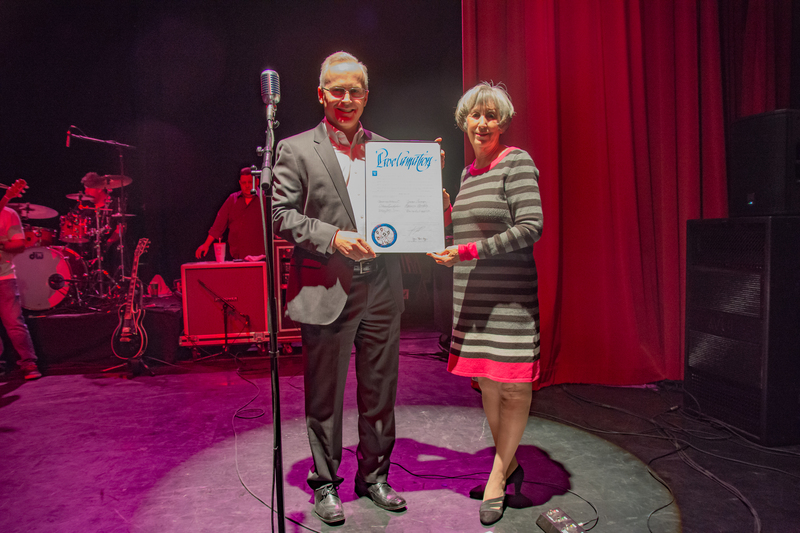 Clark County Commissioner Susan Brager proclaimed November 4 “Whiskey Pete’s Day” in honor of the hotel and casino’s legacy. She even gave a shout out to the super high shower heads! From the whiskey barrel prints in the bedrooms to the hallway sconces – the artwork tied the theme of a bootlegger’s paradise together. Ever wondered what happened to the car Bonnie & Clyde’s love story ended in? 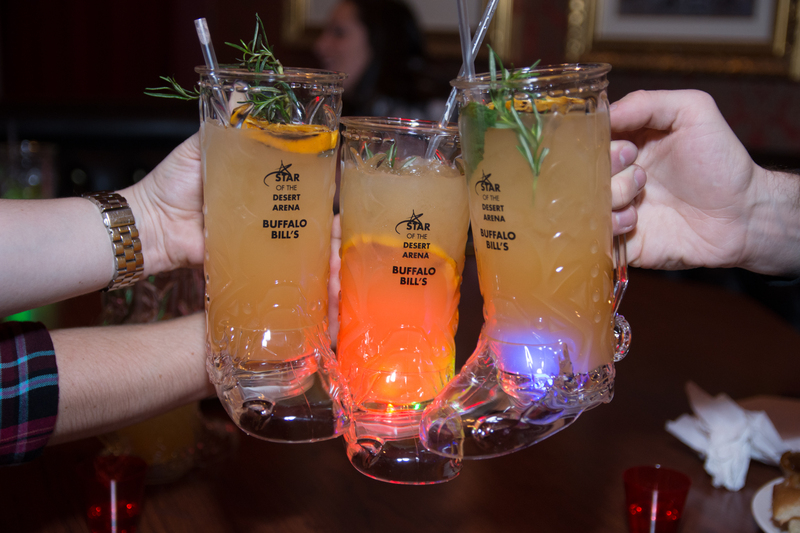 It’s sitting ensconced in glass in the Whiskey Pete’s game floor – with every bullet hole intact. 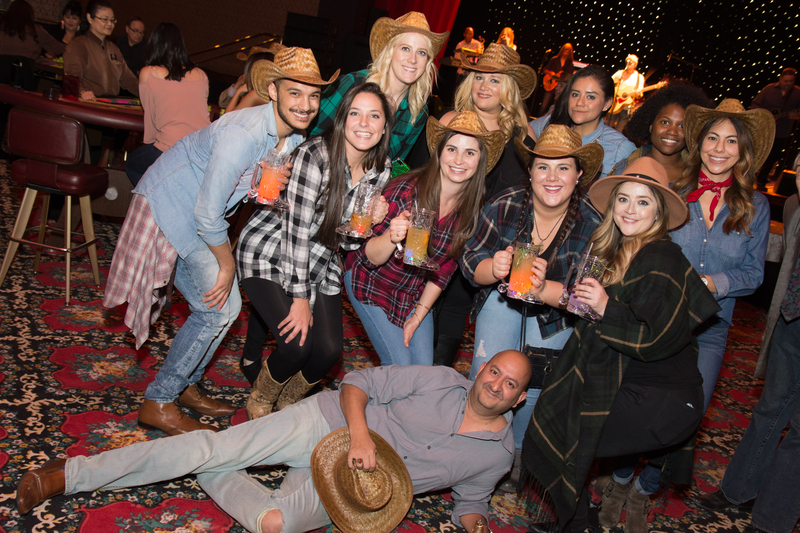 The final stop of the night was the grand ballroom, where local country band Cater Hall had the ballroom jumping as some guests started line dancing, along with a photo booth stocked with props, blackjack tables, and plenty of moonshine.